Last week Vodafone announced that they would be selling the first Samsung handset to run their new Bada OS, the Samsung Wave. It looks like the Samsung Wave will be available in the UK on Vodafone from the 1st June 2010. 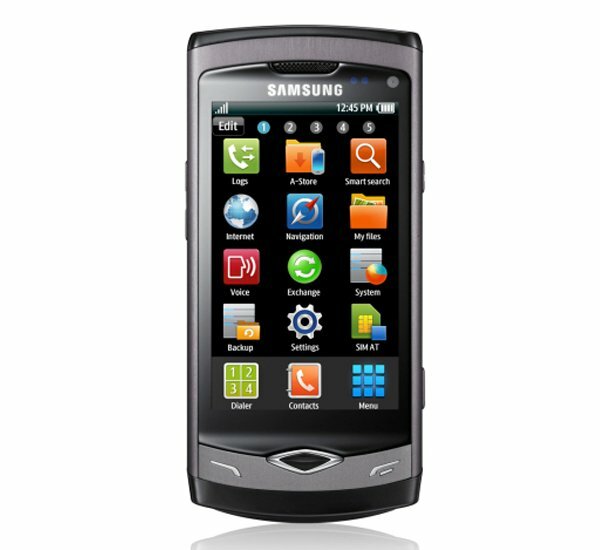 The Samsung Wave features a 1GHz processor and a 3.3 inch WVGA Super AMOLED touchscreen with a resolution of 800 x 480, plus a five megapixel camera. The camera features a built in LED flash and auto focus, and a range of shooting modes which include, smile, panorama, continuous, beauty and vintage shot, it also features a built in photo editor, and it is also capable of recording HD video in 720p. The Samsung Wave has a built in FM radio with RDS, a microSD card slot that can take up to a 32GB card, and it comes bundled with a 2GB microSD card. It also features Bluetooth 3.0, USB 2.0, WiFi and GPS, and comes with a 1500mAh battery. The Samsung Wave is available for free on Vodafone UK with a £25 a month contract, if you want one it is available to pre-order now from Vodafone .